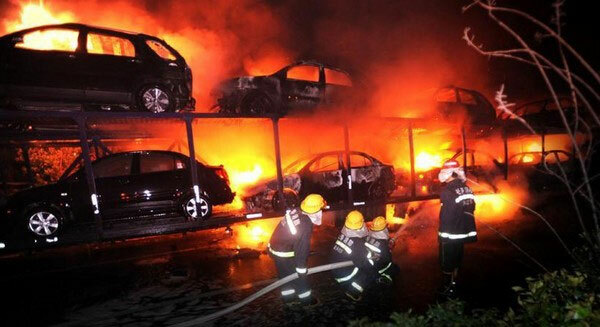 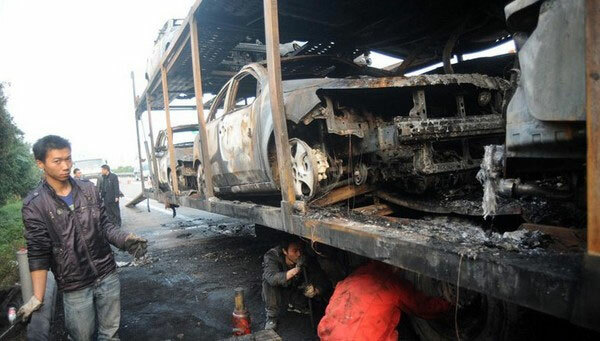 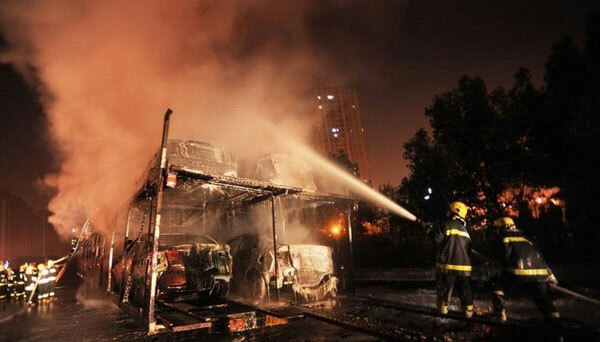 2 On the 21st of November, a car transporter carrying 36 cars went on fire along a highway in Chongqing. 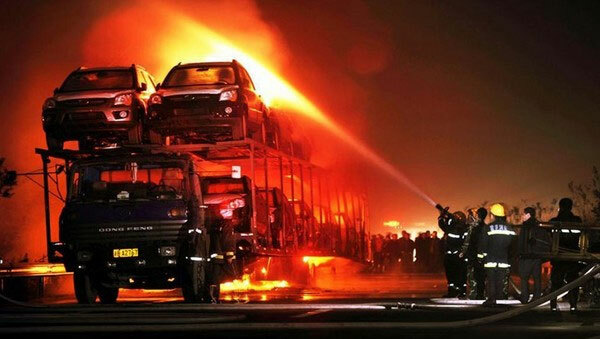 On the 21st of November, a car transporter carrying 36 cars went on fire along a highway in Chongqing. 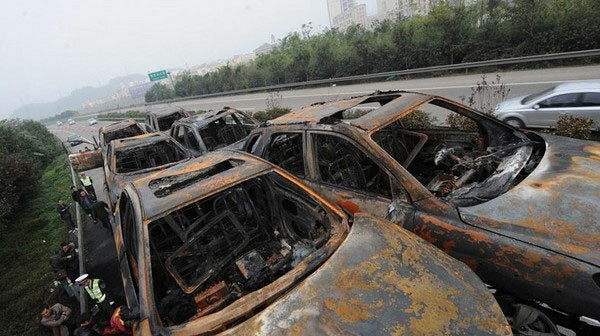 20 cars were completely damaged by the flames, 16 more vehicles have been damaged.